Osteoarthritis is one of the most common forms of arthritis. Otherwise known as degenerative joint disease, it causes breakdown in the cartilage, the tissue that lies in joints at the end of bones and acts as a shock absorber. According to the Centers for Disease Control and Prevention, approximately 27 million American adults over the age of 25 have osteoarthritis. Helping your elderly loved one maintain healthy joints, whether they have already been affected by arthritis or not, goes a long way in ensuring their independence and their ability to lead long and productive lives. The old adage, use it or lose it, is just as appropriate for joints as it is for muscles. Help your loved one stay in motion. 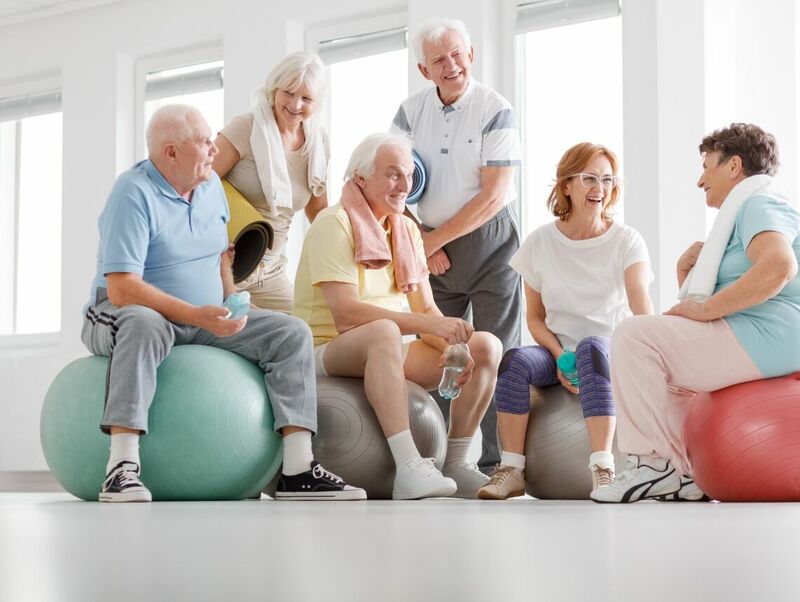 That can be as simple as a few 10 minute walks per day to finding a form of movement that excites them such as water aerobics, tai chi, or yoga. For every pound of weight loss, four pounds of pressure are taken off of the knees. To ensure joints thrive, help your loved one maintain an appropriate body weight. This means ensuring their diet is rich in fruits and vegetables and their day consists of at least 30 minutes of exercise. Stretching lubricates joints and helps maintain range-of-motion. Unlike previously held beliefs that you need to stretch before exercising, your muscles actually need to be warmed up before you stretch. Take a brief and easy 10 minute walk before they begin a stretching routine. Suggest they stretch after a workout or long walk as well. Encourage your parent to choose joint-friendly exercises, otherwise known as low-impact. These types of exercises include water aerobics, swimming, bicycling and walking. It’s important to strengthen the muscles that surround the joints. And while they are at it, they might as well strengthen all their muscles. Help them include resistance training in their schedule which strengthens tendons and ligaments, supporting a strong body and strong joints. Make sure they understand that keeping their core strong helps maintain both a strong body and strong joints. The core consists of the abdominals, back, and hips. It’s the link connecting the upper and lower body. It stabilizes and enhances balance and stability. Ensure their diet is rich in joint-healthy foods. This includes salmon and other cold-water fish that are rich in omega-3 fatty acids. Green leafy vegetables and low-fat dairy products are essential for strong bones and joints. An elderly care provider can help your parent lead a joint-healthy life. They can do the grocery shopping, prepare joint-healthy meals, and accompany your parent on daily walks or provide transportation to exercise classes. They can assist with the daily activities of living.